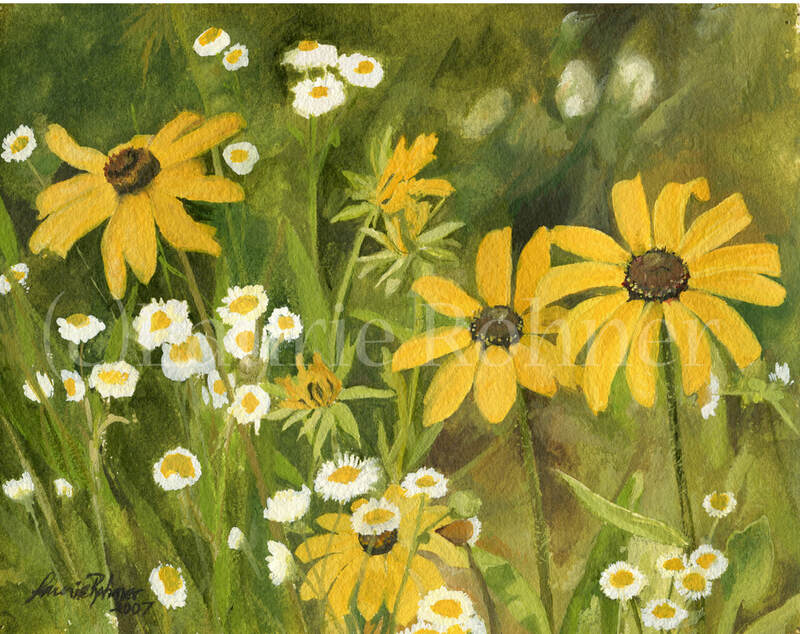 Botanical Art Garden Flowers Wildflowers Black Eyed Susan's in a Field Original Nature Watercolor by Laurie Rohner. Botanical art floral watercolor yellow daisy garden landscape is an original floral painting of woodland yellow black eyed susan wildflowers in a field. My original art is detailed delicate realism art. My original watercolor art is titled Black-Eyed Susan in the Field by Laurie Rohner. Paper:140lb watercolor hand molded paper. Frame for an additional $75. Send me an email and I can add it to your order. Additional shipping charges may occur. Your painting is safely packed and shipped via Priority Mail with added insurance.